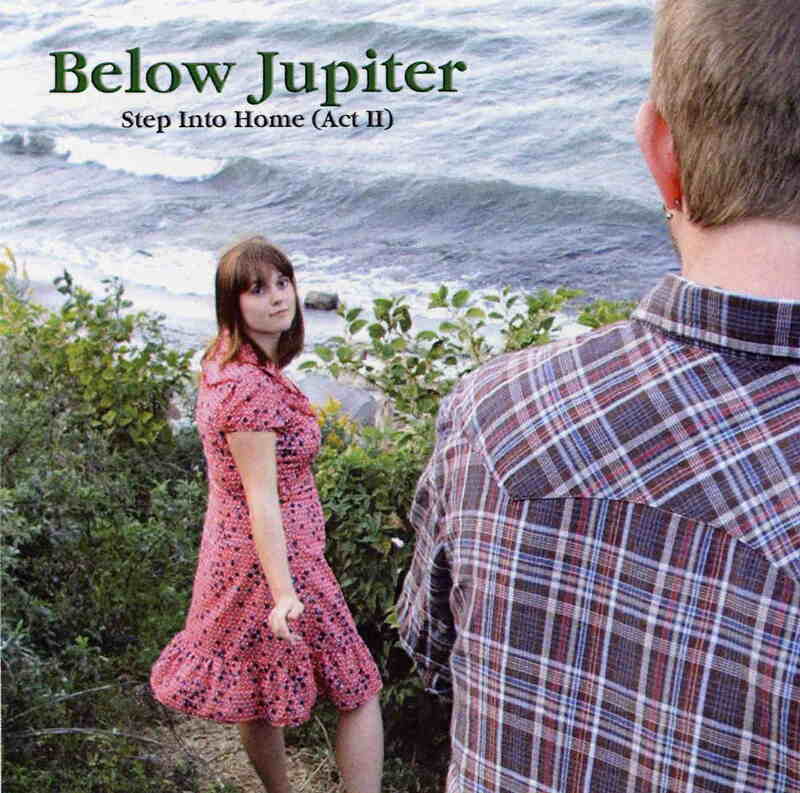 Below Jupiter is a Cleveland based act lead by Josh Emmet. This is the second part of his Step into Home project which is a concept record about a philosopher living in the USA. Josh’s favourite instrument is the piano but he often plays guitar as well. The CD opens with a John Lennon inspired track called Shine On. The mood is very happy and the piano playing cool. Gather round your History is also Beatles inspired for sure and has some strange lyrics. Eugene v. Debs is a bit of a more funny story telling track. Laws of Ohio is a piano bar blues track. I’m done with my Obligations changes the sound completely in this very short vocal acoustic guitar track as josh steps away from the piano for a moment. Josh hops back on the piano but also plays some organ in the next track, It’s your Fire. Strange Dream is a pure piano piece. The Philosopher is a pretty emotional number with a chorus of singers, the first time on the CD. The Trial has ended is one of the longer and more complex musical tracks on the CD. Seven Days is like a hard rock track and totally different from the rest of the record but nice to mix it up a bit. Free is a 2½ minute piano piece and the CD ends with the track Step into Home. A longer emotional track like Elton John would write. Fans of John Lennon and the Beatles and who want to follow a nice story with some good piano music, this is well worth tracking down. Phideaux fans also.